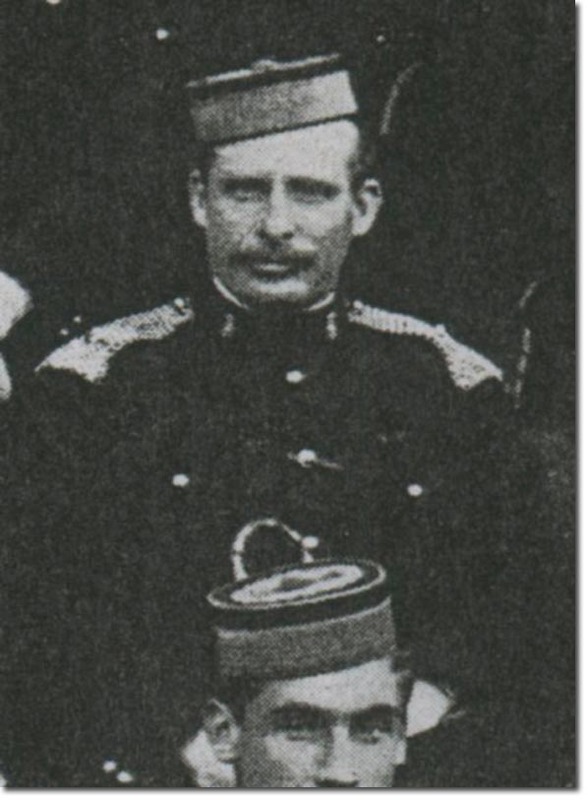 Richard Walter joined the 7th Hussars as a second Lieutenant on 8th May 1880 at the age of 19. By 1895 he was a major and in 1901 was in the 1st Provisional Regiment of Hussars for 8 months. He rejoined the 7th when they went to South Africa and took over command from Lt-Col Lawley on 26th June 1903. His service in the Boer War involved operations in the Cape Colony, Relief of Ladysmith and Laing's Nek, also employed with remounts and Bethune's Mounted Infantry. He commanded the 7th Hussars in South Africa from 28th Jan to 31st May 1902. He went on half pay on 26th June 1907 and was in the reserve of officers. The picture shows him as a major in 1903.